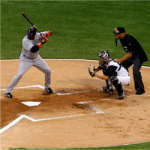 Baseball is very much a minority sport in Australia, but enough Australians are keen on it to be able to field a national team at the World Baseball Classic, held every four years since 2005. The 2017 tournament runs from March 06-22, with the 16 qualified teams competing in four pools at six locations around the globe. Australia is in Pool B, along with China, Cuba and hosts Japan, sheduled to play the first round indoors in the breath-taking Tokyo Dome. Round 1, from March 06-10, is a round-robin within the pools. Australia needs to finish in the top two on the pool ladder to make it to Round 2 in Pool E.
Pool E is another round-robin in the Tokyo Dome from March 11-19, featuring the winners and runners-up from Pools A and B. The winner and runner-up in Pool E then progress to the semi-finals on March 20-21, against the Pool F winner and runner-up: originally from Pools C or D. The semi-finals and final on March 22 will be held at the Dodgers Stadium in Los Angeles. Baseball Australia in conjunction with Team Australia Baseball has announced a 28-man squad for Tokyo. Manager Jon Deeble has a number of quality players to work with, like James Beresford, Luke Hughes, Trent Oeltjen and Brad Harman. Australia has fielded a team in all three World Baseball Classics since 2005, but crashed out of the 2013 first round ignominiously 3-0. Only the top three teams in each first-round pool qualify automatically for the next World Baseball Classic, so Australia had to qualify again for the 2017 tournament. In the qualifier in Sydney last February, they beat the Philippines emphatically 11-1, and then South Africa 4-1 and 12-5. Japan is going to be a tough opponent in the Group B round-robin, but Australia should be able to overcome China. Unless the team can pull off an upset against Japan, that leaves Cuba as Australia’s route to Pool E. Ranked fifth in the world, Cuba will be no pushover, but with their squad missing some top players, an Australian upset is definitely a possibility. 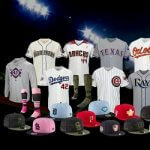 Major League Baseball has unveiled the designs for the uniforms players will be wearing for the special events this year. In the league’s official release the uniforms’ exact details are …. 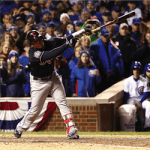 Contenders in Major League Baseball Playoffs The regular season in Major League Baseball ends next Sunday, 01 October, at which point baseball fans around the world gear up for the …. World Baseball Classic Promises March Action Baseball might not be among Australia’s biggest sports, but the online betting community won’t want to miss the 2017 World Baseball Classic in March. ….